What is the purpose of the belt barrier? 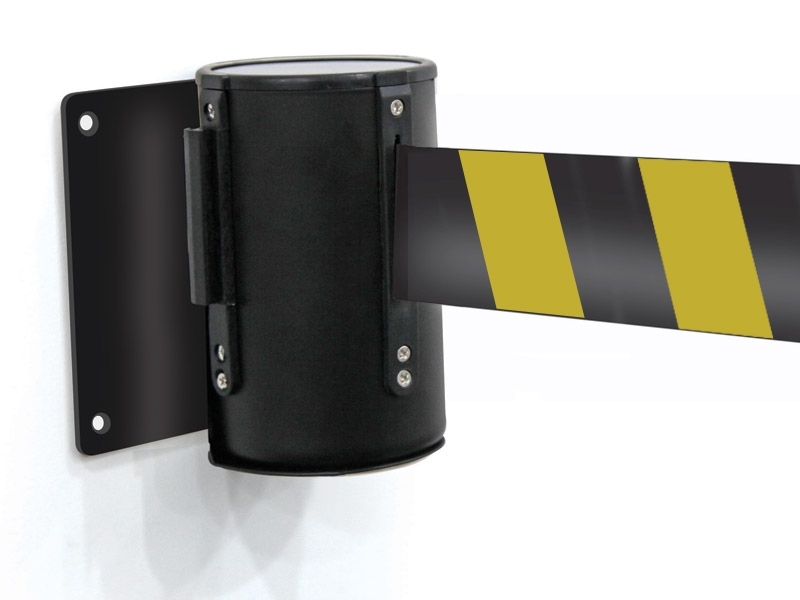 Wall-mounted belt barriers from The Workplace Depot promote safety while restricting access to certain areas and controlling the flow of pedestrians within a venue. High visibility black and yellow chevron stripes ensure this barrier is noticed. Retractable belts can fit in with your décor and require no floor space or storage, making them a convenient must-have in many establishments. Where can a retractable belt barrier be used? 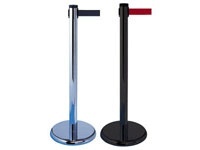 Whether you want to keep an orderly queue in a cafeteria, checkout counter, at the box office or even the post office or need to block off a section in a club, restaurant or expo for special guests, pedestrian belt barriers act as a convenient barrier for keeping uninvited guests out and people queuing in an orderly fashion. Who might use a wall mounted belt barrier? The high quality belt barrier from The Workplace Depot can be used just about anywhere. Perfect for warehouse racking, aisle ways, roll-up doorways, checkout stands, garage door entrances, nightclub entrances, box office queues, school cafeterias, trade shows, the list is really endless. The belt barrier is the perfect solution to crowd control problems. These compact, attractive wall mount barriers can be mounted on just about any surface quickly and effortlessly. 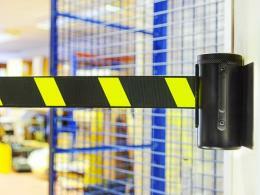 The wall mounting belt barrier from The Workplace Depot can be used wherever wall to post or wall to wall. Belt lengths are either 2.3 meters or 3.6 meters. These barriers are easy to drill into the wall and are supplied with a belt receiving clip. The 2.3-meter barrier weighs just 500 grams with the 3.6 meter belt barrier weighing just 600g. Order yours today for free next day delivery. All our products have a 1-year parts and labour warranty.